At Las Palomas Mexican Restaurant, we serve a wide variety of authentic Mexican dishes and traditional Mexican combination platters. 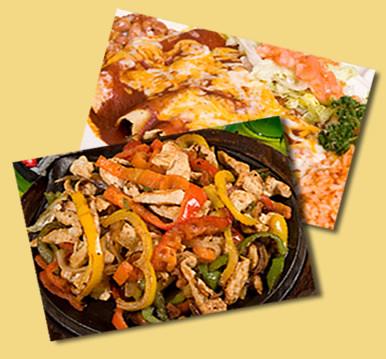 From our sizzling fajitas and zesty burritos to our spicy, tasty enchiladas, we take pride in using the finest ingredients to serve our guests. Salads and soups are also available for both lunch and dinner.